One of my New Year's resolutions this year is to drastically improve my baking. My husband is a wheat farmer. It is remarkably economically inefficient to buy wheat in the store. It is also healthier to use my husband's wheat since he raises some heirloom varieties, doesn't farm with chemicals, and we don't use preservatives in our home kitchen. I went to the library to find some books to help me in my quest. I am having great difficulty finding what I'm looking for. I want to learn how to really bake, especially sourdough bread, with whole wheat flour. I am reminded of how our society has relied on processed foods for so long that our "real" recipes have been lost. I'm going for the last line here, the 100% whole wheat flour breads using sourdough. These are impossible to find. Books like How to Bake Everything are a misnomer. Words like "from scratch" and "homemade" are misnomers. I'm just frustrated that I am again running into this. Earlier this month, I tasted whole wheat tortilla chips that were really homemade. No one knew the recipe used. I tried to find one. All the recipes were either rebooting store bought tortillas or making homemade tortillas. It's just frustrating. I want the real thing. Our minivan was in a coma and we bought the Big Van. I love the Big Van. We were able to haul our entire family to Florida and New Jersey each twice in it. We have put our minivan back on the road. I am enjoying the minivan, especially its nimbleness in parking lots. In one of the online groups that I belong to, a woman was pregnant with her fourth child. She had no choice but to jump to the minivan before the baby was born. She was asking for advice on which minivan to choose. Inspired by her quest, since it wasn't so long ago, I am going to share our jump to the minivan. My first minivan was a 2003 Ford Windstar. I was pregnant with my third. I had flown out to New Jersey because a friend had an emergency. I needed a way to get around New Jersey. I also needed a minivan anyway. I bought my minivan in New Jersey. I want to pause and talk about why I jumped to the minivan when I was expecting my third and not my fourth. My Nissan Versa at the time did not fit three car seats big enough for my babies. When my third was born, my oldest would not quite be 2.5. He was no where near ready for the booster. I could have perhaps used a Chicco KeyFit (the smallest rear facing car seat) but the weight capacity in them at the time (they have since reengineered and allowed more weight) was small. It would just buy a few months. I would say that most families who have three kids in three or four years as opposed to two and a half would be able to get away with the skinniest booster (the Ride Safer Travel Vest) in the middle. Most families can wait until the fourth to jump to the minivan. I loved my Windstar! When I was pregnant with my fifth, a drunk driver hit us and totaled it. I still miss it! We replaced the Windstar with a 2005 Chrysler Town and Country. I lost my deductible, because of course the man that hit us didn't have insurance. It is part of his restitution order. I'm still waiting. I remember when I jumped to the minivan, it felt big. Prior to the minivan, I only drove little cars- a Jetta, 3 Corollas, and a Versa. I drove my husband's pickup a little, but I never felt comfortable in it. The minivan felt like a bus, but now it feels small. I am a little car person and if I had been able to make the car seats work, I would have been happy staying with a little car. Her's what my minivan looks like at Mount Rushmore. We converted our current minivan, the 2005 Chrysler Town and Country, from a 7 passenger into an 8 passenger. Our minivan was a simple seat style, not a Stow n' Go. The far rear three passenger seat was able to be moved into the middle position. The minivan had holes in the floor that would fit the three passenger seat in the middle. Someone gave us a three passenger seat from another vehicle. It snapped into the floor in the spots from the manufacturer. Viola! Our seven passenger minivan was now eight passenger. I checked with my insurance company at the time (Liberty Mutual) and our current insurance company (Farm Bureau) and they were both fine with it. see the tan three passenger seat in our gray minivan. seat. I always loaded the rear-facing baby from the trunk. Most minivans do not come in such simple seat styles. If you have a growing family, getting another year or so out of a minivan, delaying going from the minivan to the Big Van, is a huge savings. I would recommend a minivan with a simple seat style like mine so the conversion can be done easily. There is a company in Lakewood NJ that manufactures special seats to convert a 7 passenger into an 8 passenger by putting a seat into the very middle spot. I'm a huge fan of the minivan. I hope that I have helped you to discern your jump to the minivan. I discuss a lot of the minivan's features in my other blogpost, here. My first born was so beautiful. Such big beautiful brown eyes. A beautiful smile. Cute toes. We were in love. One day I noticed that his leg was curved a lot. I pulled out my copy of What to Expect the First Year. All babies' legs are curved, it said. OK. When he was three months old, I brought him out to see my mom. His leg is not right, she said. All babies' legs are curved, but not like this. When I got home, I took him to his four month old checkup early, to the local doctor. They x-rayed his leg. We don't know what this is, he said. We'll make him an appointment at Children's Hospital.I took him to the orthopedics PA at Children's Hospital. This is a big problem, he said. You have to see the orthopedic surgeon- this is beyond what I can help. His fibula is in two pieces. It will never heal. He will most likely break his tibia, which is curved. It will never heal. They can amputate and at least he can walk with a prosthetic.It's called pseudarthrosis. The word means "false joint". The body treats the broken bone almost as if it is a joint and will never heal it, like your lower leg and thigh will never grow together. My beautiful, perfect little boy. He was fitted for a brace that day. The tibia was weak and if he tried to stand on it, it could break, never to heal again. He needed the support of the brace. We were almost waiting for the tibia to break. Years went by. He never broke his leg. He walked. He ran. He jumped. I don't like his ankle, the orthopedic surgeon said. It will cause him problems. He will eventually be in constant pain. She proposed a surgery. She would try to fix his ankle. She would try to heal his bone. There was a 50/50 chance it would work. I could not fathom taking an active preschooler and subjecting him to a surgery that may or may not work. And so began my quest to find a better solution for him. I started semi-locally. Denver. Colorado Springs. Another orthopedic surgeon who told me he literally had never seen that before. We decided to go out of state. And then my other son was diagnosed with a brain tumor. Our world changed. My son's leg had to be put on the back burner. My son continued to grow. He never broke his leg. He played tee-ball. He taught himself how to run and compensate for his weaker right leg. But his ankle looked worse. And worse. He will have better function if you just amputate now, the other orthopedic surgeon said. He can play sports. He will not be in pain or need to endure multiple surgeries. If I wasn't in so much shock, I would have punched him. My baby has cute toes. He plays tee-ball. That was a turning point. I knew that I could no longer put my son on the backburner even though his brother was on chemo. Our children's hospital wanted to cut off his leg. I needed to find him a better solution. I took him to a part of the country I had never been to before, to get the expertise of a certain doctor who was excellent with pseudarthrosis. We scheduled surgery. This surgery would heal the broken bone and fix part of the ankle, but he would still remain with an ankle problem, although less of it. I didn't go there, but was able to take my son to the doctor from there when she came to Denver. Who is this Florida doctor? A 100% success rate?! Dr. Feldman at the Paley Institute examined my son. He proposed a different surgery with different surgical methods than anywhere else. He would fix my son's leg, for real. And it would heal, 100%. He wouldn't have any restrictions. His leg would be "normal". We scheduled surgery in Florida and cancelled surgery in Minnesota. In the fall 2017, we got a Big Van. We took the trip of our lives. 1900 miles from the Colorado Prairie to West Palm Beach to take my son for his leg surgery and stay there for two weeks post surgery while he healed. His surgery went beautifully. He had a series of five casts. He was non-weight bearing for eight weeks. He used a wheelchair and a walker. My son is now running. He has a slight leg length difference and hardware in his leg, but his bones have healed. His ankle and other bones are properly aligned. His leg length difference will be fixed eventually. But he's running. Amputation is no longer on the table. We went back to Florida and he had his hardware removed. My baby has cute toes. He is now nine and running. (Yes he limps a little when he runs.) I am amazed at his leg, his ankle, his healing, and his progress. He is still wearing a brace for some extra protection, but he will eventually be able to ditch the brace as he gets stronger. I am so thankful for Dr. David Feldman at the Paley Institute. Due to your surgical methods and skill, my baby still has his cute toes. He is running and ready for tee-ball this season. If any of you readers stumble upon my blog and are looking for a solution to pseudarthrosis, the answer is in Florida. Dr. Feldman made a video here where he details his pseudarthrosis surgical procedures and why they are different than elsewhere. Note: out of respect to my son, I have purposely omitted any pictures of his leg from this blogpost. My son is so much more than pseudarthrosis and I don't want pictures of his leg to come up on an image search. I did think it was important to share our journey with pseudarthrosis. There is not much information out there. I wanted to share my son's story. November is the month of All Souls. October 31st is the Eve of All Hallows (Saints). November 1st is All Saints Day. November 2nd is All Souls Day. We pray for the souls of the departed. We believe if they are still in Purgatory, our prayers will help them to leave Purgatory and go to Heaven. We pray for the Holy Souls throughout the month of November and always. It is a pious custom to pray for the souls of those buried in a cemetery, both in November and all of the time. We pray for the souls of the faithful departed every time sometimes when we pass a cemetery. We pray irregularly and without much devotion, but we try. We often pass many country cemeteries. These are often small unlabeled cemeteries that were once part of someone’s homestead. There is one such cemetery right down the road from our house. We often pass another such cemetery when we go to Genoa. We actually don’t do too much traveling as a family. It is rare that our entire family is in the vehicle at the same time because of my husband’s complicated work schedule. One day we were all in the minivan driving by the cemetery south of Genoa AND I remembered to pray for those holy souls. “What are you doing?” my husband asked, as I was going through an “Eternal Rest”. “I’m praying for the souls in that cemetery,” I explained, with the pride of a Pharisee. “What cemetery?” my husband and lifelong resident of our county asked. “That cemetery right there,” I again beamed with that Pharisitical pride. “You mean those aren’t grave stones? !” I questioned him. “No, those are propane tank holders,” he repeated. For years I had been praying for the propane tank holders, and not the souls of the faithful departed. Oops. 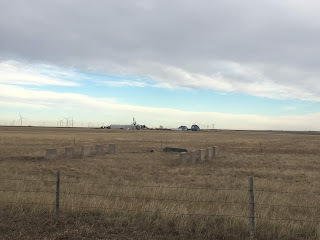 Here are the propane tank holders on a cool November prairie day south of Genoa. I am a card carrying member of the society of large families who drive a Big Van. I'm going to talk a little bit about my journey into Big-Van-dom. I am a little car person. My first car was a Jetta. Then I had a series of three Toyota Corollas. Then we bought a Nissan Versa. I love little cars. They are nimble. They are cheap. They are good on gas- what more could you want? In 2011 when I was pregnant with my third child, we made the jump from the little car to the minivan. There was no way that three car seats would fit across the back of the little car- it was time for the minivan. I had flown out to New Jersey when a friend had an emergency. I bought our first minivan because we needed to buy a minivan anyway and I needed a way to get around New Jersey. I bought our 2003 Ford Windstar in New Jersey, used it the duration of my trip, and then drove it back to Colorado. Oh, I loved that minivan! In July of 2013, when I was pregnant with my fifth child, a drunk driver crashed into us and totaled my Windstar. We were all OK- the Windstar did exactly as it was supposed to do- it kept us safe. We replaced the Windstar with a 2005 "short" Chrysler Town & Country. The Town & Country served us well for a few years. We gradually started putting money into it, first a little bit and then a lot. I was a strict believer in not having car payments, but with over $5000 in mechanic bills in one year, and being stuck on the side of the road too many times to count, saving money by not having car payments was actually costing us money. We were planning a road trip to Florida, and our Town & Country broke just a month before the trip. It sat the mechanic in a coma for nearly a year.We finally got it back on the road just last month after too much money than I'd like to admit. Jumping to the Big Van was a tough decision. We are a family of 8. We fit in some minivans and I suppose would fit in some SUVs. We were enjoying the better fuel economy of a minivan compared to a Big Van, especially since we drive so much. We were not enjoying having just barely enough room for our family with every seat taken up. We decided to make that jump and get the Big Van. We decided against a large SUV because we wouldn't have any extra passenger space should we have to take another family member with us. The cost was significantly higher. The fuel economy was equivalent. Other than looking cool, there seemed no significant advantage to having a large SUV over a Big Van. my Big Van and a minivan. We are so grateful for the extra room in our Big Van. I love that we no longer have to think about space. I love that I can spread the kids out so that they fight less. I am really grateful for our Big Van. We have driven the Big Van over 40,000 in the year that we've had it. We have taken our minivan to Florida and New Jersey twice each during three trips. When my son was in a wheelchair after his Florida surgery, the Big Van didn't even blink at holding the wheelchair, the walker, shower stool, and all the road trip stuff. With the minivan, even a trip to Costco was a game of Jenga. The minivan is inconspicuous. The minivan looks normal even thoughmy minivan that has a lot of hail damage and "character". In the Big Van, there is no doubt in who you are. Big Vans are white. I'll get to that in a future blog post, but it suffices to say that I hate white as a vehicle color, yet I drive two of them. Yup, easy to find in parking lots. The Big Van is easy to find in parking lots. Because it literally sticks out so much, there is no forgetting where you parked- just look and you'll see it easily. The minivan is more intimate. I can see and hear all my kids in the minivan. There's no guess at what's going on in the back or literally shouting over the little ones in the middle and road noise. The Big Van allows the children to spread out. I find they fight less if they are further away from each other. The minivan is easily able to navigate a parking lot or Manhattan or whatever else life has in store. The Big Van is big, clumsy, and doesn't fit into parking spots, parking lots, or anywhere else. The Big Van holds gear for our family of 8. Last fall, we drove 1900 miles each way to Florida for my son to have a complicated orthopedic surgery that he could literally get no where else This surgery saved his leg from amputation. We were gone a month. We stopped by New Jersey for a quick visit "on our way" home. We had to pack for two different temperature ranges. We had to pack school stuff. We had to pack my son's wheelchair, walker, and shower chair. We packed our crockpot and food for the road. Our Big Van literally had room for everything without even blinking. The minivan can barely handle a trip to Costco. Our Big Van can even tow or hold hundreds of pounds of farmers market goods without blinking. The minivan is more fuel efficient. Our 2015 Big Van gets about 18 mpg. Our 2005 minivan gets about 21 mpg. Our 1995 Big Van gets about 13 mpg. The fuel difference is huge. on our way to the Macy's Thanksgiving Day Parade. Notice the doors on the left. The minivan is actually a family vehicle. It's designed for an actual family. It has tons of cupholders. When you call for a service appointment, the dealer doesn't automatically ask what company you're with. Dealers actually know about it. They don't look at you like you have ten heads when you tell them that you want to buy it. street on the left side, it is so wonderful to get the children out on the sidewalk-side. I can have the children get out of the van on whatever side I want or even both sides. Having doors on two sides is a great convenience. I really don't know why a vehicle for ten rear passengers has one door and a vehicle for five rear passengers has two doors. My daughter by our old Big Van. five years I think. It has served us well. When I logged into Netflix and it showed previews of a new Netflix series, I was originally excited about it. Alexa and Katie chronicled the adventures of two teenage girls who are best friends, next door neighbors and high school freshmen. Alexa has leukemia. Alexa does not have a port. Alexa wears plenty of tank tops. If she had a port, it would probably show with her clothing choices. She is so worried about her classmates finding out about her cancer diagnosis and if she was had a port, she would be worried about her port showing, because it would show and be a dead give away that she has cancer. Receiving chemo like she does, she would need a port, no doubt. Alexa is often by herself or with Katie in the cancer ward. Do they let children receive chemo treatments without their parents there? How does she get to the hospital? I have never seen a teenager receiving their chemo by themselves. Never. Alexa's parents do not face her battle realistically. Yes, it shows how her mother won't punish her and how her mother switches to working from home to spend more time with Alexa. But everything else is a joke. As a mom of a cancer patient, I actually find this insulting. Alexa's father is an idiot. I don't understand how come these types of sitcoms seem to think dads are stupid. Alexa's father is not a leader, he's not even a good dad. He says some lines now and then to get some laugh tracks, but it's all so disappointing. Katie shaves her head to show solidarity with Alexa, yet her hair doesn't grow back. As time progresses, she would at least have her hair growing back. Alexa still has eyebrows and eyelashes. Chemo that causes hair loss on the head would most likely cause hair loss everywhere. Alexa and Katie lie, deceive, and smart-off. This is not funny. Their lies get laugh tracks. They could be used as a plot device to teach a moral lesson, but they do not. They lie. They get rewarded by a laugh track. What kind of morals does that teach to our children? Is lying a virtue to teach our little ones? I wanted to watch and like Alexa and Katie. I really did. It's just too unrealistic. I worry that it might actually harm efforts to get more research funding for pediatric cancer because it makes a joke of so much. I also cannot enjoy a show that glorifies lying, which is against our family's moral beliefs. Our homeschool curriculum has a big read aloud component. Although I do enjoy reading to my children and we have a vast children's literature library in our home, we don't always have the time to do our read alouds. Even if your particular curriculum doesn't have a read aloud component, I would suggest that you add it if possible. Read aloud books engage their imaginations. They model sentence structure and vocabulary. Wholesome read alouds fill their imaginations with wholesome images, heroic virtues, and good stories. Paraphrasing a quote from one of my favorite priests, if we don't fill our children's heads with good things, something else or someone else will fill them with bad things. I want my children to be thinking about someone like Mr. Popper having a penguin rather than all the bad things that are so prevalent in our society. I am busy. I have six children and never run out of laundry. I have too many homestead and home improvement projects to even enumerate. I currently teach five of my six children. I live in a very rural area. We do not have a cost effective way to obtain groceries and some basic necessities. We do not have access to certain specialized medical care that my children need. Due to my children's health issues, I make frequent trips to the Denver area, two hours away each way, at least once per week. We spend a lot of time in our Big Van. 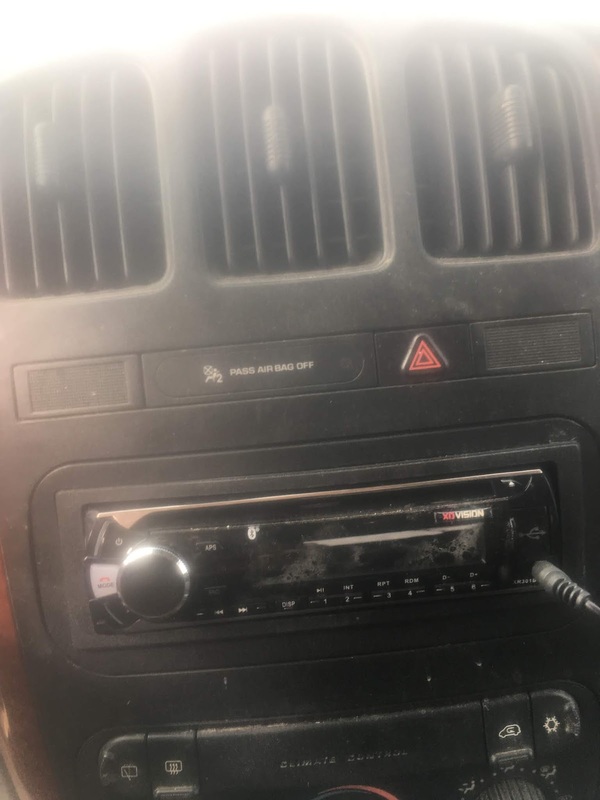 This is the radio in our big van. We maximize our van-time by listening to audiobooks. We get all the benefits of read aloud in a time efficient manner. Audiobooks can be expensive! Most are around $20 each. We can go through an audiobook in one Denver area trip! I am cheap. I will now talk about how we get our audiobooks and how we spend little or nothing for most of them. 1. LibriVox. LibriVox is a group of volunteers who read out-of-print public domain books. The readers agree that their audio recordings become part of the public domain. You can download them at will. LibriVox quality varies considerably. Some books and narrators are professional or near professional. The majority of LibriVox books are excellent. They have many dramatic readings, where they have a different voice actor for each character in the story. Sometimes the quality isn't the best and the readers have thick accents, their cat is purring as they read, they have microphone issues, a different person reads each chapter, or they lack dramatic flair. But they are free. Free is my favorite price and I am grateful to the good LibriVox volunteers who make these beautiful classic stories available to my family. I have a LibriVox app on my iPhone. I download the book when I have wifi and simply connect the headphone jack into my van's audio system. 2. CloudLibrary. Our local library participates in a consortium of little libraries that together subscribe to CloudLibrary. Although the selection on CloudLibrary isn't very large and the stories are mostly older and out-of-print, the narrations are all professional and beautiful. I have the CloudLibrary app on my iPhone and download the stories when I have wifi. 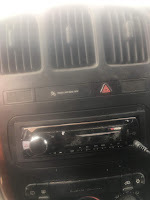 I connect the iPhone to my van's audio system with the headphone jack. 3. Overdrive. I joined a bigger library in the metropolitan area that allows anyone in the state to belong. (It's the Aurora Colorado library in case you live in Colorado and wanted to join, too.) That bigger library belongs to Overdrive. Overdrive is an app that I have downloaded onto my kindle. I can virtually borrow audiobooks that the library owns if no one else has checked it out. (If they do not own it, you can request that they order the book and sometimes they do.) 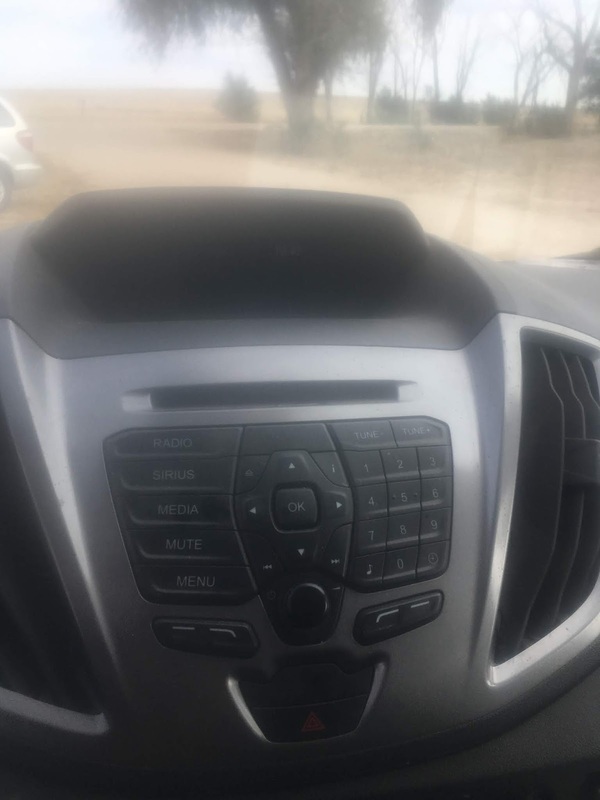 I am able to download the book to my kindle and connect the kindle to my van's audio system. I prefer to use the kindle rather than my phone because if I get a phone call or need directions, we don't have to stop the story- I simply put the back speakers on and shut the front ones off. CloudLibrary and LibriVox apps are not available for the kindle (as of this writing). 4. Hoopla. Hoopla is similar to Overdrive, but they seem to have a bigger selection. I also use my library card membership at that bigger library system to access Hoopla. I also have the Hoopla app on my kindle, download the books when I have wifi, and play them on my van's audio system using the headphone jack. 5. RBDigital. RBDigital is also similar to Overdrive and Hoopla and they also are an app on my kindle that use with the bigger library system card. 6. The Library. My local library has a decent selection of audiobook cds. They have the Little House series. We do borrow their audiobook cds occasionally and we treasure them. 7. YouTube. We use YouTube when we're at home and have access to wifi. There are some treasures there, like audio versions of old film strips. Don't overlook YouTube. 8. Audible. I don't have a subscription to Audible. I don't need another monthly expense. Audible does sometimes have sales. You can buy a book on Audible without subscribing. Most books are in the $20 range, and I avoid those, but I do pick up good books when I can find them for $5 or less. I watch for Audible sales and I post them on my facebook page. You can join my facebook page here. I will caution you that if you see a good price on Audible, grab it. They sometimes phase out older (i.e. cheaper) audiobook versions in favor of the newer more expensive ones. Ask me how I know. 9. Jim Weiss and Glory Stories. Yes, you have to pay for these cds, but they are worth every penny. Glory Stories feature dramatized Catholic saint stories. Jim Weiss is an extremely talented man who has professionally narrated many classic stories. His cds are excellent. This is the radio in our minivan. I hope these help ideas help you to implement a read aloud component in your homeschool. I really see the benefits of the read alouds in my own children and I'm sure that you will also see the benefits in your own. My name is really Laura and I really do live in a little house on the prairie. 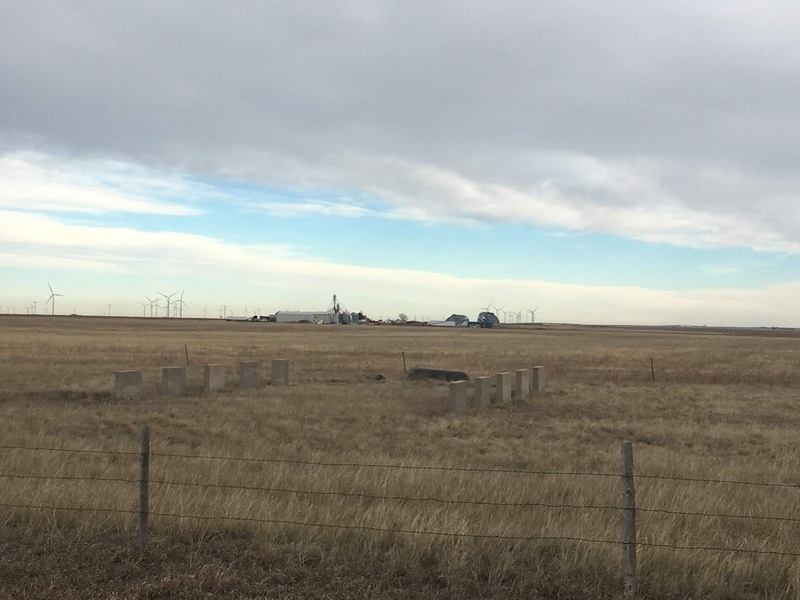 I am a Jersey girl and I struggle with life and culture in Eastern Colorado. I blog about homeschooling my six beautiful children, living large in a little house, managing a large family, saving money, saving time, my culture clashes, homesteading, home improvement projects, craft projects, the many ups and downs of my son's battle with a low grade glioma, and whatever else suits my fancy. Pull up a chair, I'll pour you a cup of tea, and we can get to know each other.